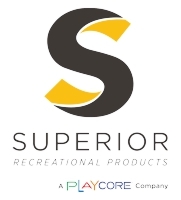 Superior Recreational Products (SRP) has spent nearly three decades developing and acquiring product lines that help community members of all ages and abilities play, relax, and live. We design and manufacture outdoor steel and recycled playgrounds, dog park products, commercial site furnishings, shelters, and shade structures – all perfect for your park or recreational space. At beautiful Morrison Park in Lake Jackson, Texas the Terry Jones Memorial Playground got some much needed upgrades. Superior Recreational Products designed a dynamic play environment that features a three-level playground and shaded swing area that is ADA accessible. Morrison Park is one of the city's most visible and heavily used facilities, thus the playground was designed to fit in aesthetically with the natural beauty of the park. Contact us today to learn how we can enhance your space.